:: What is Dry Eye? 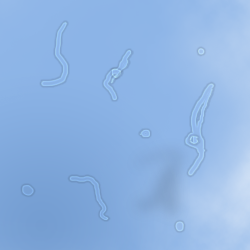 If you have floaters, they'll likely look like this when you peer up at a bright, blue sky. If a spot or shadowy shape passes in front of your field of vision or to the side, you are seeing a floater. Because they are inside your eye, they move with your eyes when you try to see them. You may also see flashes of light. These flashes occur more often in older people, and usually are caused by mechanical stimulation of photoreceptors when the gel-like vitreous occasionally tugs on the light-sensitive retina. They may be a warning sign of a detached retina. Flashes also occur after a blow to the head, often called "seeing stars." Some people experience flashes of light that appear as jagged lines or "heat waves" in both eyes, often lasting 10-20 minutes. These types of flashes are usually caused by a spasm of blood vessels in the brain, which is called a migraine. If a headache follows the flashes, it is called a migraine headache. However, jagged lines or "heat waves" can occur without a headache. In this case, the light flashes are called an ophthalmic migraine, or a migraine without a headache.